Buy High pressure air bubbles cleaning machine - Shandong Leader Machinery Co.,ltd. Frame is made of high quality sus304 stainless steel, meet the national food industry use standard, USES the bubble rolling, scrub, spray technology, maximum limit to cleaning materials, lines of each single machine can be customized according to user's different processing characteristics, the greatest degree meet the technological requirements, cleaning speed stepless adjustable, the user can according to different content set arbitrary cleaning, this machine structure is compact, high degree of automation, suitable for all kinds of processing scale enterprise use. 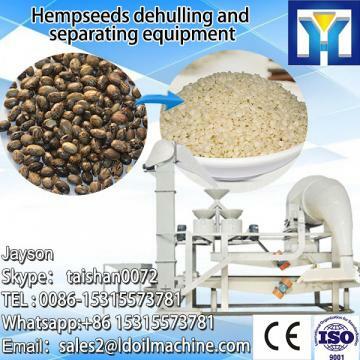 This machine is a part of kelp, fresh waxy maize, fungi, salted vegetables, corn for cleaning, removing impurity, transportation, selection and desalination ,etc all kinds of work flow process. For the whole High pressure air bubbles cleaning machine,warranty is 12 months,within 12 months,if have equipment quality problems,we will provide accessories freely. After the expiration of the warranty period,if have spare parts problem,we only receive the cost of required replacement parts.We commit we will provide free technical support of equipment all whole life. Our company has engaged in producing and exporting High pressure air bubbles cleaning machine for many years, and until now, our machine has exported to overseas market, such as Brazil, India, Indonesia, Russia, Thailand and so on, and get the foreign customers' unanimous praise. We believe that you purchase Shandong Leader Machinery Co.,ltd. High pressure air bubbles cleaning machine is your best and sensible choice.